It is a phenomenon that has a worldwide spread, from the most industrialized countries to the poorest of the third world testimonies about their sighting come from. The description that is made of it is always the same regardless of the various cultures of origin; they are children between the ages of 10 and 12, they have a cadaverous pallor, their eyes completely black without the distinction of the iris and they are dressed in an extremely poor and strange way, they appear in the night and they go around the city looking through the windows the inhabitants, almost wanting to study. 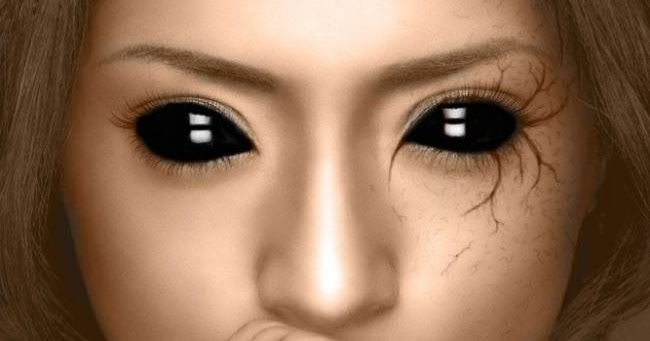 They rarely come into contact with people, but there are also some disturbing cases that tell of this fact … When they have a contact they ask for a passage or they can enter the house, terrorizing the unfortunates. Lately it seems that these sightings have intensified and in particular we have testimonies in southern Italy and precisely a case in Reggio Calabria and one in Messina, in both cases the children have sought contact with the local people. What these creatures say to convince us to let them enter the house is almost nonsense, almost as if they did not perfectly master our reality, they ask to get in to make a phone call, or to play a video game … It seems that they are repeating a script with few variables studied previously to deceive us. What is certain is that animals fear them, in an exaggerated way. In the case of the sighting of Reggio Calabria the unfortunate was accompanied by a large pit bull that began to growl against the child and then be seized by an unnatural terror that lasted for days. One thing is certain, these creatures are not human and it is better not to have any contact with them, if you happen do not let them enter the house and avoid talking to us. Il Male: Da dove arrivano le nostre attuali convinzioni e che utilità hanno?